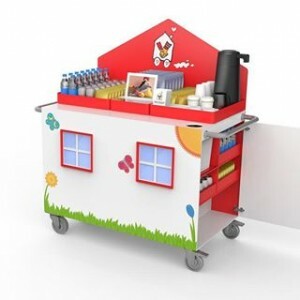 Ronald McDonald House Charities of Alabama is proud to announce the addition of a Happy Wheels Cart — a new and innovative program that delivers the comfort and care provided by the Ronald McDonald House to children and families while they’re at Children’s of Alabama. Families at the hospital, including siblings, often wait long hours or even days without being able to leave the hospital or even their child’s bedside. The Happy Wheels Cart volunteers move throughout the hospital and offer items such as toiletries, drinks, snacks, books and age-appropriate activities and toys to patients, siblings and their caregivers. We are SO excited for this new adventure. We are thankful to be partnering with Children’s of Alabama to bring our Happy Wheels Cart into the pediatric areas of the hospitals. Children’s provide excellent care for patients and families and this will be a great addition to their family-centered care. If you are interested in supporting this new program, there are multiple ways to get involved. We need volunteers and items donated. If you are interested in volunteering, please visit our Happy Wheels Cart Volunteer page for more information. Items needed include: 8 oz bottled water, small juice boxes, and 100 calorie or less (peanut-free) individually wrapped snacks. 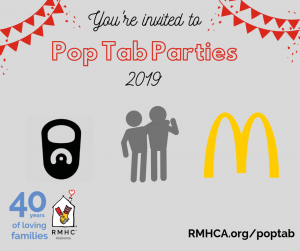 Please contact April at April.Dickerson@rmhca.org with any questions about Happy Wheels Cart donations. We are very excited to start bringing the cheer of RMHCA over to Children’s of Alabama through this new program.